Continuing on the heels of last issue, Batman arrives to where the Bat-signal is and they agree to work together. Later at Lexcorp, Oliver Queen tells Lex to stop with the emails, which Lex notices is in the dead of night. He tells Otis to spend the night. Cut to Suicide Slums, where the Worlds finest confront Joe Chill. And just as Batman is getting some kind of head way with his parents murderer, Mr. Freeze shows up with the aid of Loomis aka the Prankster. Mean while, Lex is awake in the dead of night and Otis takes note… To be continued. I haven’t really said much about the cover artist in these reviews, but I dare say she is phenomenal. Its like she’s a (at least with a name like Cat Staggs, you hope she’s a girl) female Alex Ross. Anyway, this issue is great. The angles may not be the best to convey the message or better put, that would have been used in the show, but for what it is, there are great moments here that really give you a hint as to what’s to come from the Justice League, to them simply being the “Worlds Finest”(I’m never sure if it’s heroes or detectives). I do have a beef though, that the offices of Lex have been redecorated for no real reason. I don’t know if that’s a new look here on out but I prefer the more blue/black/purple tone. This isn’t DC’s premier book, but with the artwork being what it is, and the writing of a Smallville show scribe, this is the best it’s been since the books launch. Story: 3.5 out of 5. Thank you for reading feedback is always helpful. Enjoy your Week! THAT’S IT! Cheers: “To Peace” and May the Force be with you! Superman is down, and Batman is frozen. You tuned in to the right bat-website at the right bat-time. Oliver gives Lex a call saying that he has yet again sent cryptic emails. Lex had just found out from Otis that he had done so, and Lex thinks his subconscious is trying to tell him something. Oliver says that Lex’s subconscious is trying to actually tell him something instead. Cut to suicide slums, Batman, though frozen always has a way out. Using his utility belt, he activates a heater (of some kind…. Some how), and races off to find Joe Chill. Batman failed in saving him, he was frozen by Mr. Freeze. Locating Superman, he finds him on the floor shot numerous times. Outside, Lois is trying to figure out the scene. Batman knows the Metropolis Police Dept. is coming, and he summons his Batmobile. Over the police radio, Lois hears that batman has Superman. She gives chase… To be continued. WHY… WHY DID DC GO BACK TO ANOTHER GARBAGE ARTIST? Anyway this marks the return of Chris Cross and I’m clearly not happy about it. But I will say the introduction of his batmobile is as impressive as the entirety of the bat pod was in The Dark Knight. It has this homage look to it, and that ranges from the entire anthology of Batman films to the Adam West show, which is something Smallville would have done. The way I’m curious to see if batman keeps some of the kryptonite–if he doesn’t then this isn’t the real batman and I’m done with this book. High above Metropolis, Batman and Nightwing discuss the events of Strykers, while pursuing Superman who broke Bruno Manheim out. Cut to Superman who is even HIGHER above Metropolis to interrogate (with fear) the info out of him that Batman wants. He eventually gives him the info, and relays it back to Batman using Bat’s tracer. Chloe finds out there’s a pattern from the emails he’s getting. Lois and Clark discuss how Toyman may still be connected to all the arms trafficking, and it’s revealed that he had an admirer by the name of Oswald Loomis. Later, Batman sees something on his external cameras that alert him to the Bat Signal in the sky… In Metropolis… To be continued. For this book, I really like this new art work of Jamaal Igle. His drawn faces look superb as do his hands, though I question who’s choice it was to have Batman have grey face paint from his nose down. Some how it stays on even though he done went through how many walls and what not. His art work is just well appreciated in these issues. 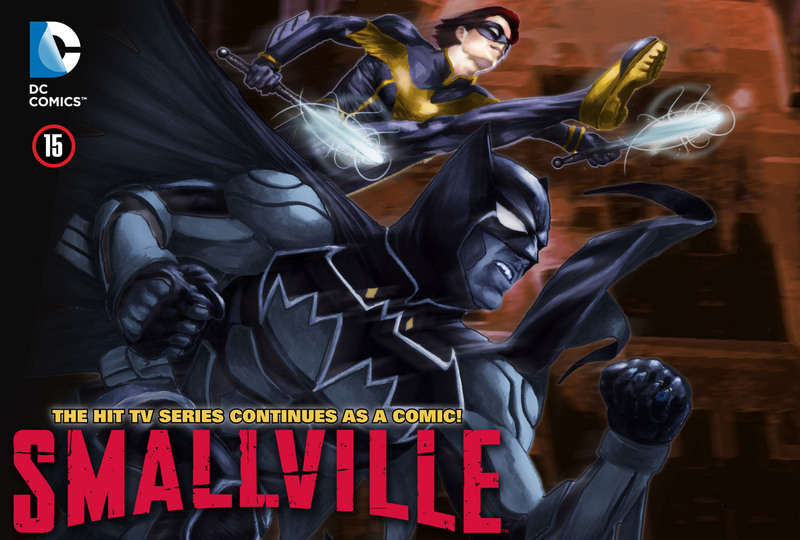 Miller seems to have encompassed the Christan Bale version of Batman, as well as all the other versions (notably the animated Batman/Justice League). 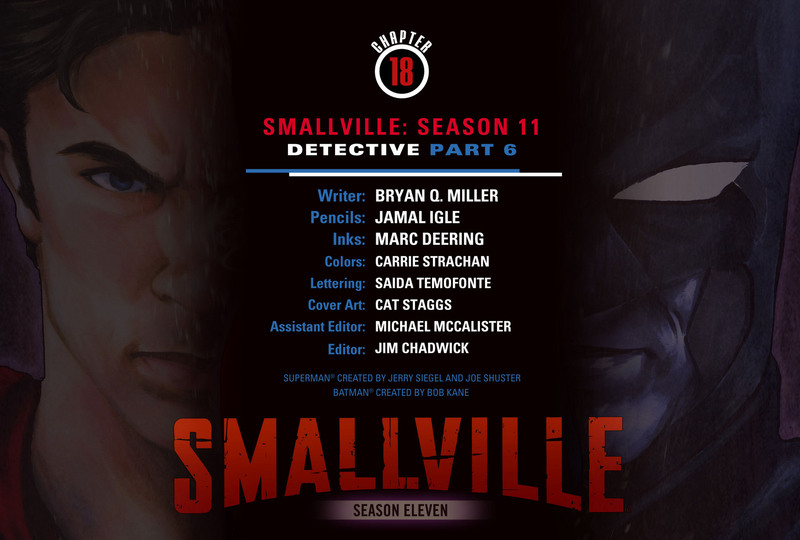 The world of Smallville certainly has expanded since the year 2001, much less 2010 the story seems to be vast from characters, to places, to the ideas. With this issue I’m kind of revived by the series. Story: 3 out of 5. My boy @MR_STiXX and I got together to talk about Skyfall, the latest Bond flick. He’s the only other person who sees film as such an art form as I do, so give it a look and enjoy (THIS ONE IS SOMETHING YOU CAN WATCH). The issue pits Superman, and Batman against each other and in the end, Superman discovers he’s Batman, and Batman confesses why he’s after Bruno (though we already knew that). That’s really the plot for this thing. 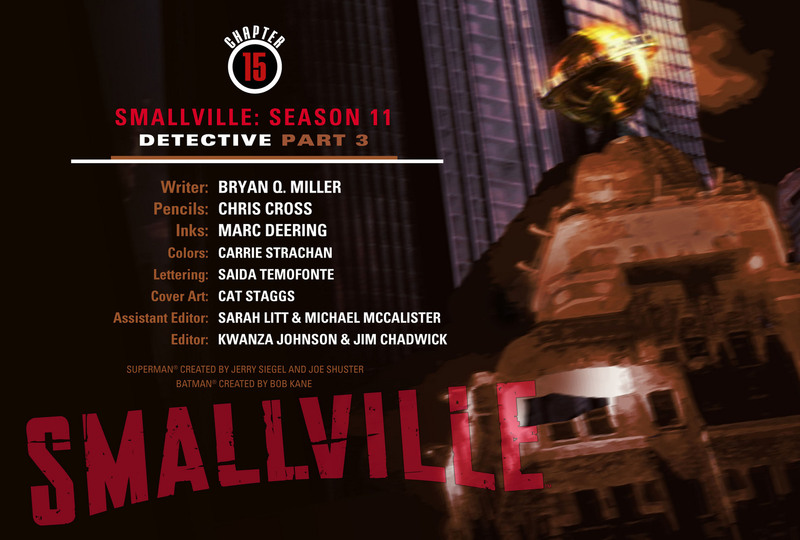 Bryan Miller wrote a decent enough issue. Oh and I was right.. It was a “red sun” emitting from his chest and fist. In terms of writing. There’s not much to go on. But its good for what it is. Which is a typical comic book first meeting between two heroes. Hey folks… There’s another new artist… Who is much, much better than the last two guys… And it shows from the first page and with it we get a clearer version of Batman’s suit, as well better artwork in general. There isn’t really much to comment on. Though I will say I felt that the fight was hard to follow in terms of where it was taking place at this “Stryker’s” penitentiary. But I’m just happy this artist is better. 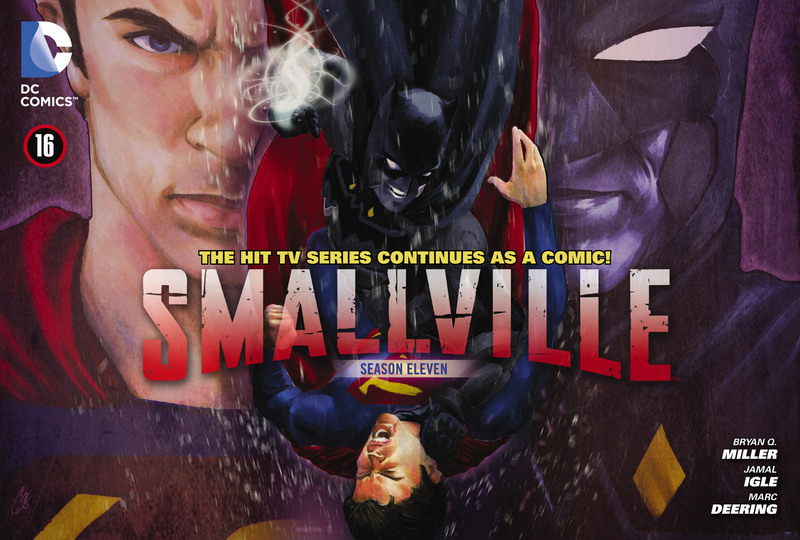 Has a bit of a better grasp of the look and feel to what Smallville was. Hopefully his stay is MUCH better than the last few. Oh and lastly. This just goes to prove that everyone should really be able to tell who exactly Batman is (identity wise). If they couldn’t already tell from the world Arkham City was in. 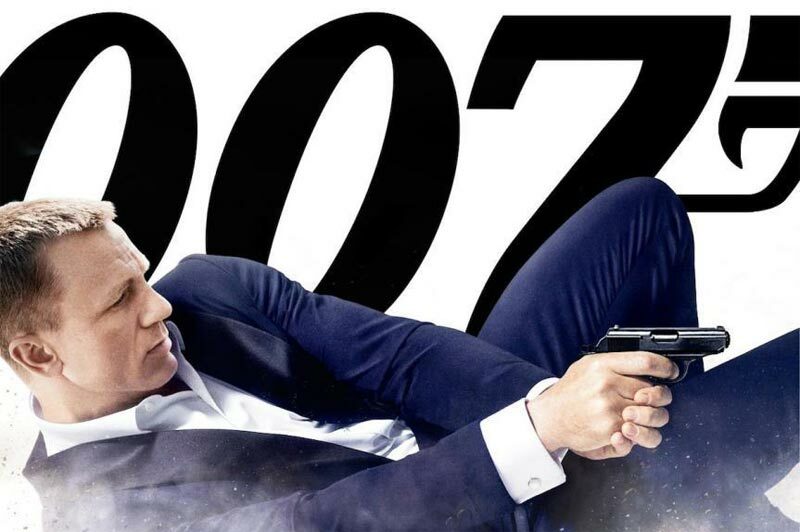 James Bond 007: Skyfall – The STiXXclusive Review. After catching the criminal from last issue, Superman makes him apologize in front of all the onlookers that gathered. In that audience, none other than Bruce Wayne. Who begins to discuss with his “assistant” Barbra Gordon, the manner of Superman’s love life (Don’t worry he hasn’t a clue he’s actually Clark). Later at the Ace of Clubs, Lex and Wayne have a meeting about a joint project, and which ends in Lex turning down the offer. And just as soon as he does Superman arrives to question Lex about the “control chip” found in the Teleportation vest seen earlier (last issue). Now at Lexcorp R&D Lex reveals that, yes its his, but no he isn’t responsible past creating and branding the chip. The chip was stolen several weeks ago (back in issue 3) is where the tech came from. Clark believes he knows who’s responsible. A few moment later at Stryker’s Island. Superman is looking via video feed at Toyman.. Who is in Hyper-solitary. Else where in strykers, Batman pays a visit to Bruno Manheim who is reading a “Crime bible” (DC fans will know what that is). As he begins to question him about “Joe Chill” Superman shows up and they exchange blows… One being enough to phase Superman… To be continued. Its weird. Whatever Batman hit superman with.. It isn’t green. Its a nice touch to change the norm. My guess is he’s got some kind of red sun emitting from his chest and hands. This Batman that Miller has created. Is different.. Yet the same, its almost like he looks like the one from the animated show, yet like its own version. Maybe its just me but I had hoped that there would have been an actor they took the face from. But meh. No matter. The Art is a bit spotty. But its still a bit better than the last few issues. I know I can’t draw hands (nor can I draw) so I’m only guessing its not just me, but it’s a actually a challenging thing. But I feel like the artist just didn’t give not one damn. It will be an interesting fight in the next issue. 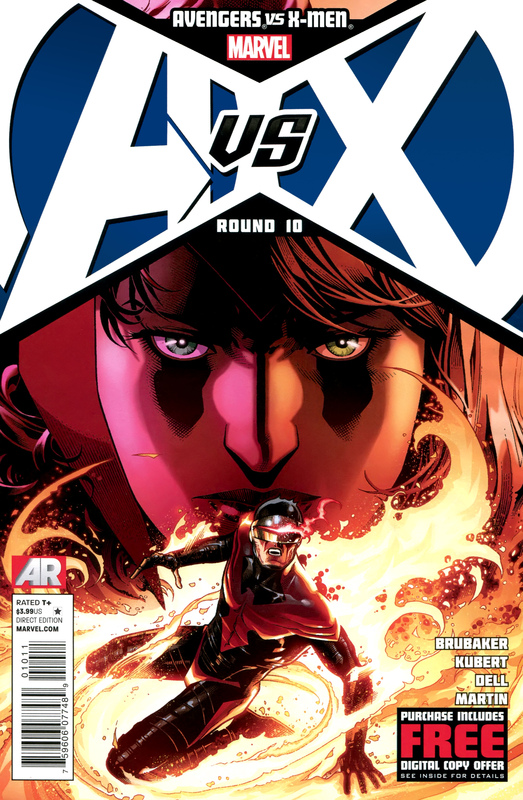 Issue starts with Tony explaining how and why the Phoenix Force is here, and affected by Wanda Maximoff. 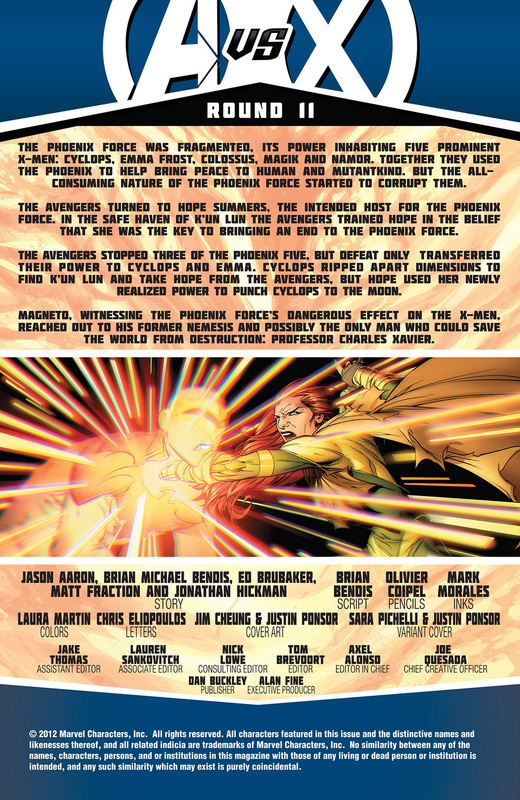 Wanda’s chaos magic is a ying to the Phoenix Force’s yang of control. Then, he explains how exactly Hope will bring forth a win. It cuts to the battle that started in the last issue, and then back to roughly 72 hours prior for a bit to give us a bit of back story. The issue then gets all action oriented by showing Hulk and Thor get punched half way across the globe. And Cap, seemingly arriving to give the Avengers one last push. With Cyclops easily beating them, Nova helps ground him, where some hope comes from the tag team of Hope, and Wanda who eventually beat him. As he falls, the Phoenix Force finds its intended Host, who seems to be in total control and is fixing the destruction made by Cyclops. When she comes back (she moves very fast), she announces to her onlookers that she is the Phoenix, and Wanda informs her that’s not why she was chosen. She tells Hope that she’s the only one willing and able to deny the Phoenix a host vessel and in doing so, she does what she is most famous for doing. No more Phoenix. And just like that, the battle is over. 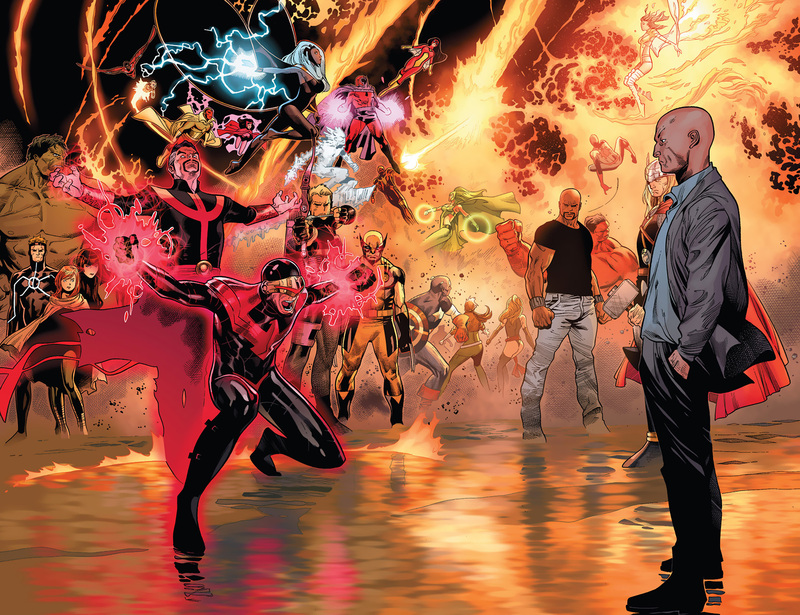 Now most of the X-men’s prominent members are on the run, and Cap.A believes it’s time for a new set of Avengers, something a little more uncanny. Meanwhile, Cyclops has been arrested, and currently in prison. The end. For now. First and foremost, I want to say: this is the Marvel version of Final Crisis. NOTHING REALLY HAPPENED. I’m sure in later years, this will mean more since there’s “no more Phoenix” and all. 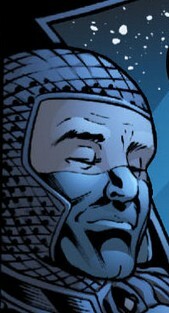 But at the end of House of M, there was a CLEAR CUT OUTCOME. This was just, blah, and then “oh yea.. Your fallen comrades are missing and need to be found in case you were wondering, arrested Cyclops”. I’m sorry but for as great as this idea felt, and as hyped as it was, and for how great this started, it failed. This was a series of arcs to get here, and Hope Summers seemed fated to be this WICKED character, and all the writers as a team blew it. The art and panel work was good, but for the most part, I’m ashamed Marvel produced this. In case you were wondering how it’s like final crisis, the heroes win by having Superman find this “wish maker” machine, that literally creates what ever you wish for. 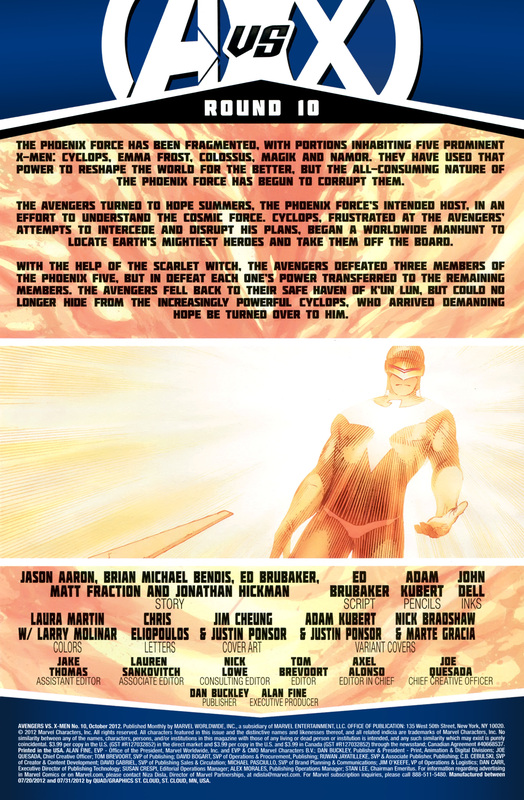 He wished for a happy ending–No more Phoenix, who really hasn’t been a thing of prominence since the Dark Phoenix saga with Jean Grey, so it just felt lame. Since “Civil War”, these arcs have been pointless, or poorly handled. This again is why I call it similar to Final Crisis. Anyway, I’m done rambling.. Thank you for reading feedback is always helpful. Cap.A is at the end of his rope and goes to one person he knows will help him, simply out of respect. The Hulk who responds “Yes. Hulk will smash for you”. Later, many X-men who supported the Phx.5 have now found refuge with Charles Xavier and the able bodied Avengers, namely Rouge. As seen in the final pages of last issue, Cyclops needs Emma’s side of the PHX. Force, which she’s aware but she has other plans for, but suddenly something is wrong at Utopia. Cyclops is the only one to sense it, how ever the final battle has begun and Cyclops didn’t even know. Charles Xavier (the worlds strongest telepath) entered Cyclops mind and forced him to his will as he said he would. Cyclops eventually breaks free and realizes he needs more power not just a partner. 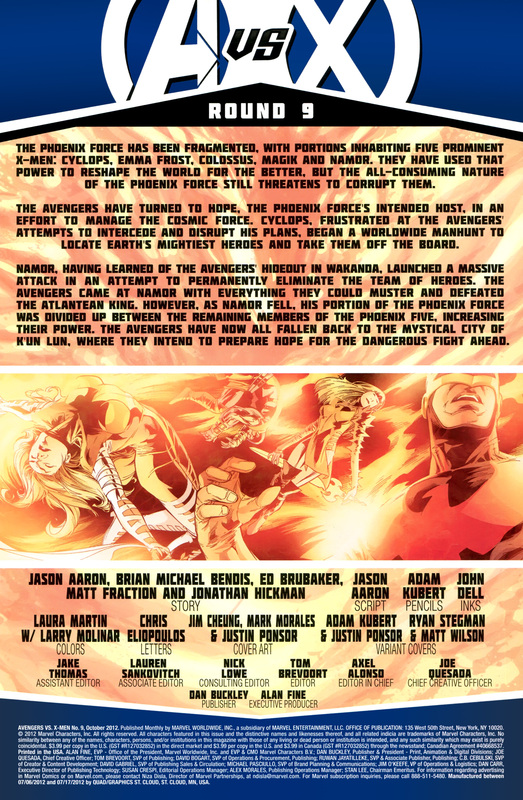 He takes the PHX fragment and knowing he needs Charles off the board, he kills him, becoming the “Dark Phoenix”. This was the best issue in terms of pacing, emotion, and layout. Copiel and Bendis work amazingly together. I will say though, the use of the Hulk in this issue is minimal, which is upsetting. They get him to help and do it to this almost incredible scale and he doesn’t really do anything. I fault Bendis for that. Granted, no matter what Hulk did, I’m sure it wouldn’t be as effective as the “chaos magic” of Wanda. But still… look, I just like the hulk ok.
Coipel’s pencil work is just great in the issue as is the layout of it all, just feels like a movie, especially the first two pages. And I’m sure it was intended on page 7 to be a “foreshadow” of what happens to him. If not, then that is just damn good art work. This felt more polished when compared to the last issue he did. 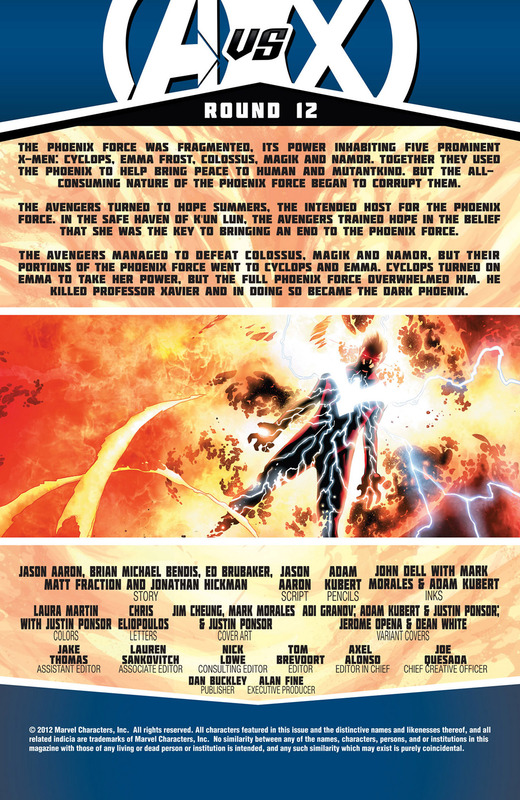 As seen in the last issue, more of the Avengers were on a rescue mission and what ever was left at Kun’ Lun were injured. And Cyclops had found where Hope was being trained. Iron Fist (no connection to the movie coming out) Grabs her as Cyclops begins his one man war for Hope. Iron Fist gives her a chance to run to find Lei Kung by creating a distraction and in so doing runs to the Lei Kung who shows her, her final lesson. 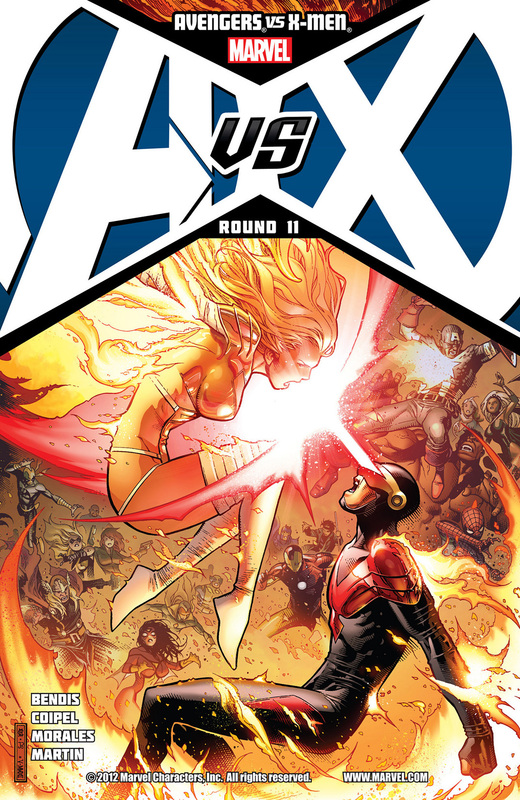 On Utopia, Magneto witnesses the dark side of the Phoenix in Emma Frost. Back at Kun, Lun, a few injured , but able body, heroes come to try and stop Cyclops.But he stops their efforts. Hope and Lei Kung stop him from causing more. Harm but summoning the “Shao Lao” (“the undying force of the power os K’un Lun. They seemingly fight to stand off where somehow Hope Steals the Dragons power(s).. Shocked and scared, she run and finds Beast, Scarlet witch, and Iron Man. Tired of all that happened She uses the first ever usage of the “Chaotic Fist” saying “GO AWAY!” Which he does… To the moon. Realizing he needs more power.. He heads to find Emma. Magneto contacts Xavier and tells him he’s needed to save his X-men.. To be continued. I really thought Cyclops had the best Phoenix outfit.. Then when its all said and done with the Art efforts of Adam Kubert and so forth. I was left asking… Why is Scott wearing a speedo… It was kinda hard to take him seriously. Besides that.. I love that this Kubert isn’t cheap when it comes to doing split second art work (as in something is in one panel and for whatever reason its “not” in the next even though everything else stays the same). Many times I’ll read something and the art will be just copied and have small edits/adjustments. Even though I do love continuity. Knowing that each panel was “hand drawn” made the comic feel just that much more enjoyable while reading. There’s more but the review must continue. I think Ed Brubaker may be becoming something worth following. The pacing set up behind this issue felt, fast, but not fast enough to have you lost. Granted that’s a matter of perception, but everything just seemed to appropriately follow the last action. And the small jokes that are in the issue were great as well… My favourite parts were the end bit of the book where hope give him the “Chaotic Fist” nd the bit afterwards. A flash forward to pivotal moment to in the book where Colossus is beating some one to a pulp. 10 hours previous the Avengers are losing across the board, as Cap.A, Wolverine and others return from a rescue mission, Spidey, training with Hope Summers to prepare her for a fight tells hope that every Avengers gets their Turn, (she’s not an avenger.. He’s just saying) some times you just have to wait and follow the big guns for your turn. In Wakanda, Storm arrives to try to help rebuild what’s happened 8 Days prior, (see *last review**) in doing so she finds out all X-men have been branded terrorist, and that the high priest of the Panther Clan has annulled their marriage… He is the high priest… As she turns away she tells him she would like to help the avengers replenish their ranks by telling them where the PHX.4 are keeping their prisoners. 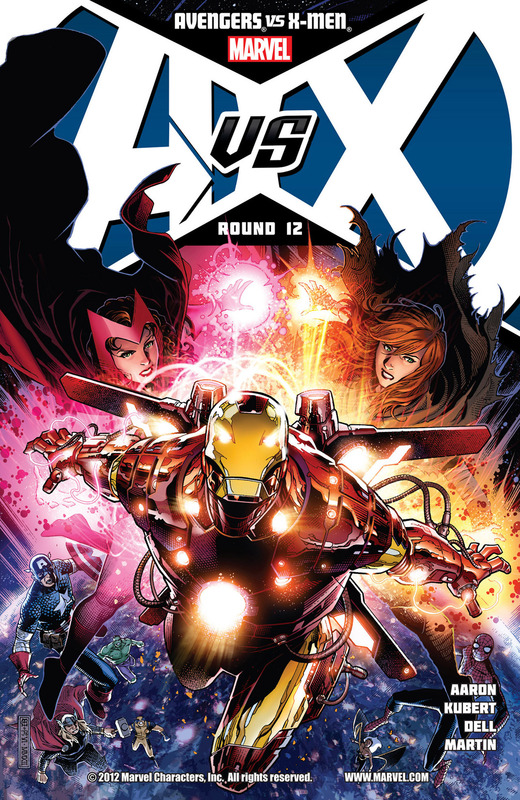 Later, the Avengers begin their “Search & Rescue” mission, where they meet up with Prof X. Who helps them hid in Magik’s hell on earth prison. After finding the captured heroes they realize they can’t teleport of there for all the demonic energy prevents it. So Spidey realizes… Its his turn.. As an avenger, he knows what he must do, and he pulls them away from fighting colossus & Magik, who, fights, to an almost tragic end. 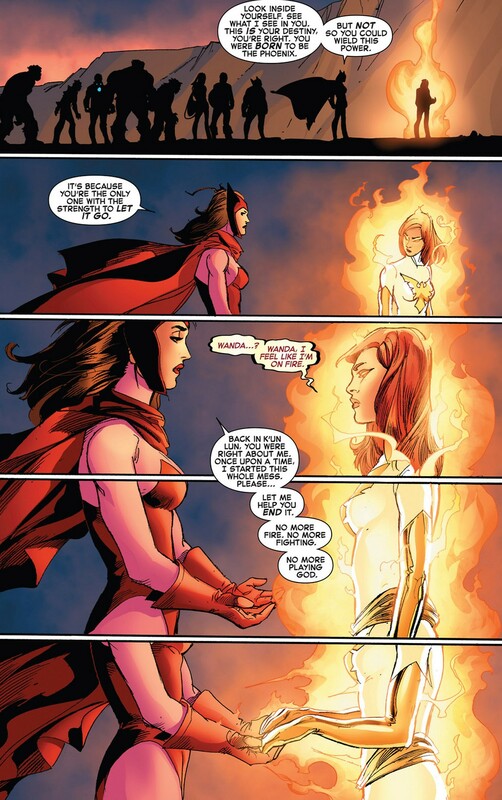 But is smart enough to manipulate the two to fighting over the others portion of the Phoenix force. When the other Heroes return with the once detained, some go back, & learn that the two had basically both lost their power, grabbed spidey, and head back to Kun’ Lun… Where Cyclops has found them…. To be continued. Mr. Kubert’s art in this issue may have out done his previous issue. It was amazing to see his art work just come out the way it did. There was some more “out of panel” stuff. Which was very easy on the eyes, and gives you this ideas that you’re being led. As much as I love Jr.jr’s work, this guy could have drawn the whole epic and I would have been glued. Funny thing, do you guys remember the Original gameboy? Well I think spider-man’s first ever game for a “system” was for that hand held device, and when he draws the web-head, it reminds me of that.. Slightly.. And a touch of the Ultimate spider-man. He does really good work here. Jason Aaron.. I never pictured him as a guy who would/could write spider-man, but he fairs well with the character. 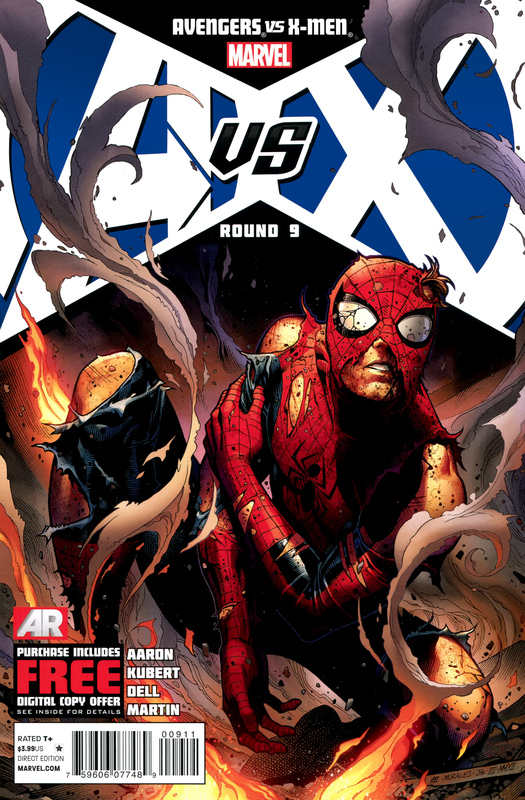 Has a mild feeling of that J. Michael Straczynski spider-man run, but still very much Aaron’s way of doing things. There were many jokes to be had, he may have been the best written character this issue. To this point Spidey didn’t say or “do” much. He is in each issue, just… Not a huge factor. He’s a “street” level hero. Stopping muggings, and such. He just so happens to have crazy villains. The story does seem to be on that cliff of the ending soon. And this may have been the start to it. The Emma Frost part (I didn’t mention it because its bit of a shock that one should see), is such a fav moment in the series.. I don’t know about you.. But I was waiting for that to happen.